I remember when I was young, my brother and I patiently waited every week to watch professional wrestling with my mom on our old 90s TV. The intro music. The crowds cheering. The intense matchups. The outfits and masks. The high flying moves. Nothing in the world seemed quite like it. The overwhelming thrill of watching our favorite players on the screen was hard to overcome, although I also vividly remember my mom repeatedly warning us about trying any of the moves in real life. Professional wrestling is a spectator sport that is still very popular amongst the masses and it is still a sport that brings families and friends together religiously on a regular basis so that they can cheer on and watch the drama ensue between their favorite players. But how much would you have to pay to watch wrestling on TV now? And are special fights more pricey than others? Can you afford it? Read on to get more insight on the rising cost of watching wrestling on TV, and if it’s really worth it, and manageable. 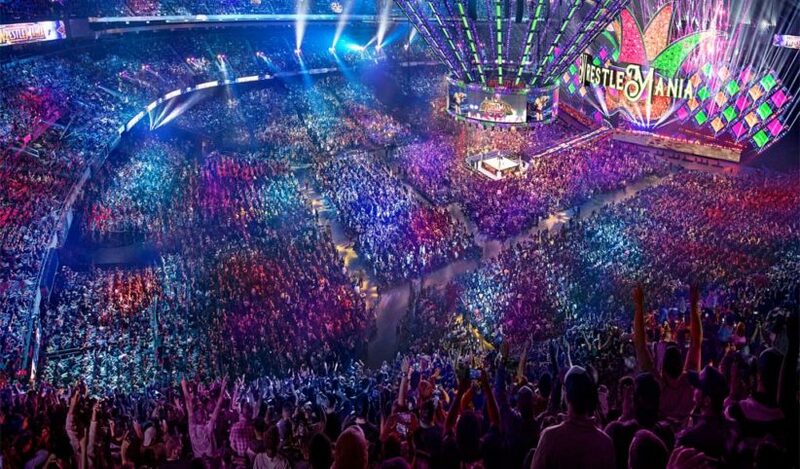 By becoming one of the most valuable sports in the business, professional wrestling seems to have taken a much bigger spotlight, and it doesn’t come without cost. Now more than ever, everyone wants to enjoy wrestling, while cable providers simply pay rights to the networks that air top sporting events, and pass their fees on to you, the consumer. It may seem unfair that the industry makes money off live game tickets and TV, but that’s the way business works – and we still want our wrestlers out there. There are ways, however, to get the best from your hard-earned money. Start by carefully reevaluating the packages and channels that best suit your needs, and adjusting them accordingly. Talk to your cable provider about the various options and package prices, offers, and seasonal deals. And to never miss a game again, using a sport TV guide is highly recommended, for it will help you plan your day to be able to catch the important games and events, and even make an evening out of it with family and friends. Needless to say, old printed TV guides are a thing of the past; they tear, they get misplaced, and they’re bad for the environment, so choose a trusted online guide and bookmark it for ease. As a “Sports Entertainment” fan – and specifically wrestling – you can still expect to be able to enjoy that exciting combination of athletic ability and pageantry in the realm of professional wrestling, in spite of the rising costs. There are a number of different services that allow you to catch your favorite players live. If you’re on a budget, you have to be choosy about which ones you should sign up for. Everything from cost, the type of content delivered, and which brands you enjoy watching the most should be decisive factors as you make your choice of registering for a new platform, and you won’t have to compromise on one of your childhood’s most nostalgic activities.